Gloria Arline Welt Sage was senior scientist at SRC, Inc., formerly Syracuse Research Corporation, from 1980 to 2001 and consulting senior scientist from 2001 to 2008. SYRACUSE, NY, January 10, 2019 — Marquis Who's Who, the world's premier publisher of biographical profiles, is proud to present Gloria Arline Welt Sage, PhD, with the Albert Nelson Marquis Lifetime Achievement Award. An accomplished listee, Dr. Sage celebrates many years' experience in her professional network, and has been noted for achievements, leadership qualities, and the credentials and successes she has accrued in her field. As in all Marquis Who's Who biographical volumes, individuals profiled are selected on the basis of current reference value. Factors such as position, noteworthy accomplishments, visibility, and prominence in a field are all taken into account during the selection process. With more than 50 years of experience in industry and academia, Dr. Sage is currently retired. She was senior scientist at SRC, Inc., formerly Syracuse Research Corporation, from 1980 to 2001 and consulting senior scientist from 2001 to 2008. At SRC, Inc., she was involved primarily in database design and development and documenting the environmental fate of chemicals for the Environmental Protection Agency, the National Library of Medicine (Hazardous Substances Data Bank), and the Agency for Toxic Substances and Disease Registry (ATSDR) of the Centers for Disease Control (CDC). Previously, she was a visiting scientist at the University of Oxford from 1985 to 1986 and at the Tel Aviv University from 1977 to 1978. Prior to her employment at SRC, Inc. she served as an assistant professor in Clinical Pathology from 1972-1976 and a research associate in Biochemistry (1971) and Pediatrics (1977) at SUNY Upstate Medical University, a research associate at Syracuse University from 1968 to 1970 and 1979 to 1980, and a post doctoral fellow and instructor in the Chemistry Department at the University of Oregon from 1961 to 1967. Dr. Sage began her career as a junior chemist for the Avco Corporation during the summers of 1957 and 1958. She was a Teaching Fellow at Harvard University from 1957 to 1961. Born and raised in Brooklyn, NY, Dr. Sage went to Cornell University where she earned a Bachelor of Arts with Distinction and Honors in Chemistry in 1957. She continued her studies obtaining a Master of Arts in chemistry in 1958 at Radcliffe College. Dr. Sage completed her academic efforts at Harvard University, graduating with a Doctor of Philosophy in physical chemistry in 1963, the first year that Harvard awarded graduate degrees to women. Her dissertation was in the field of far infrared spectroscopy. Beyond her responsibilities within her profession, Dr. Sage has been involved with many organizations, especially in the environmental, conservation, and civic areas. She reactivated the then defunct Outer Comstock Neighborhood Association in 1979 (OCNA Foundation Foundation, Inc.) and served as President for fifteen years. The association designed and renovated the neighborhood park after a devastating storm and built a monument to the park's namesake, Comfort Tyler. She was one of the founders of the Iroquois Chapter of the Sierra Club. She served on the Community Development Advisory Committee for Syracuse, NY, from 1980 to 1990 and the Syracuse Citizens Cabinet from 2012 to 2014. She was on the sediment work group concerning Lake Onondaga and an advisory group for Green Lakes State Park. 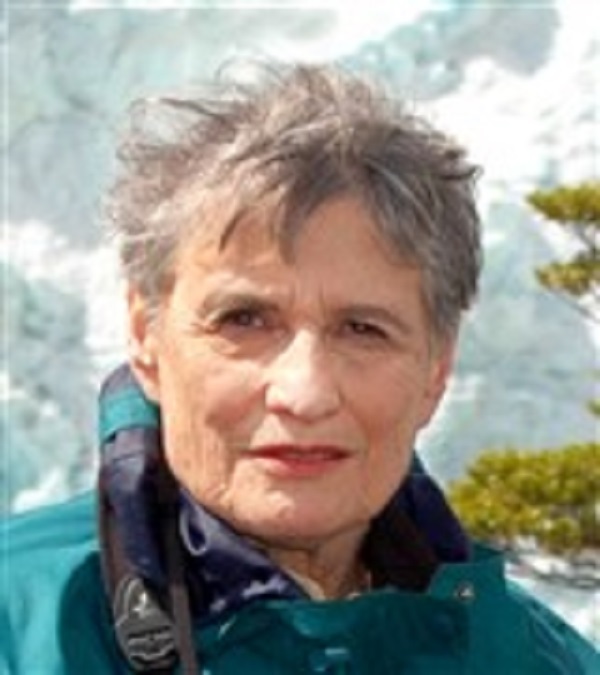 Currently she serves on the Eastern Lake Ontario Dunes Coalition, the Board of the Syracuse Friends of Chamber Music, volunteers as a Community Tree Steward, and is on the Board of the OCNA Foundation, Inc. Dr. Sage found success with her written works as well, having coauthored numerous documents at SRC, Inc. and having been the associate editor and author for multiple editions of “The Handbook of Environmental Fate and Exposure Data” and “The Handbook of Physical Properties of Organic Chemicals.” One of her accomplishments was a letter published in the Sunday New York Times warning of the danger from exposure to UV radiation from then recently introduced high intensity halogen lights. The letter received a huge response and within six months lights fixtures were modified to avoid the danger. Dr. Sage has been a past or current member of the American Chemical Society, American Association for the Advancement of Science, Association of Harvard Chemists, he American Physical Society, and the League of Women Voters. Dr. Sage was selected for inclusion in Who's Who in Science and Engineering and Who's Who of American Women. In recognition of outstanding contributions to her profession and the Marquis Who's Who community, Dr. Sage has been featured on the Albert Nelson Marquis Lifetime Achievement website. Please visit www.ltachievers.com for more information about this honor.